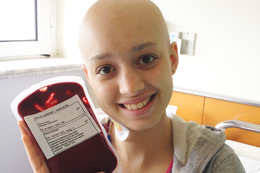 You can inquire here about your doubts regarding leukaemia and other haemopthies on-line! We will continue investigating until leukaemia, lymphomas and other malignant blood diseases are curable in all cases. Discover the testimonials of many patients who have overcome the disease or are fighting against it. My favourite hero is how I call my beautiful son, Adrianito, who has been fighting for a year and two months already. Now he is in remission thank God. For my family, it was the hardest blow we have ever got. One believes that these things happen to other people but when it happens to you and your family; one has no idea what to do. We live in Santa Cruz, in Bolivia. In our country there isn't these kind of foundations, for if you do not have insurance nobody will help you cover the admission expenses. When my son was diagnosed acute lymphoblastic leukaemia, the paediatric oncologist haematologist of our insurance was about to leave to Brasil for a month to undergo some studies and he sent us to a public hospital. Since the day we were admitted, Adri started getting worse. The place was depressing; they treated us very poorly. After four days of being there, my husband, who to that moment had been the strongest, lost his mind and collapsed, started crying like a child and said: "We have to leave this place, our son is getting worse." Unfortunately, in the city we live in there are only three paediatric haematologist oncologists: two were in that hospital and the third was our doctor. Five days after being in the hospital they told us that we had to leave because that was a public hospital and we had insurance. They told us that we had to go to a private hospital because we were occupying the place of another patient. We headed back to our insurance without know what to do, without a doctor. They decided to have a medical reunion and our doctor, from Brazil, agreed to send daily instructions by email with the treatment for our son. That is how it went and until today we are fighting. Our son has matured so much. His strength made me feel strong thanks to him. 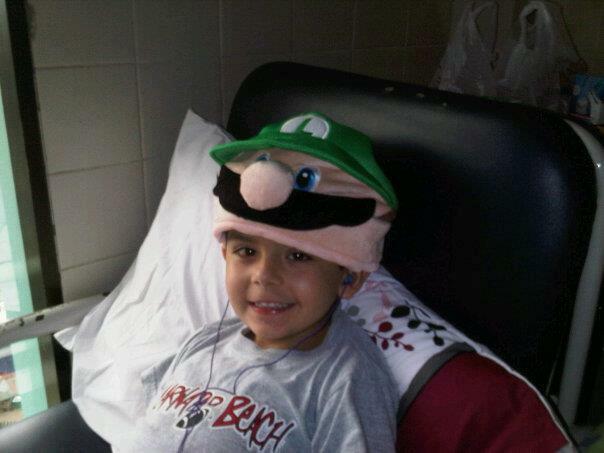 Only these angels can handle so much treatment and after getting chemotherapy ask: "Can you buy me a piece of pizza? I'm hungry." In our country there are no foundations like the José Carreras Foundation, like Juegaterapia... We have to distract our children however we can manage, we help each other out if one of us doesn't have enough money for medication, or to buy things for our only two paediatric oncology rooms. Nevertheless we keep fighting against leukaemia because we are going to beat it. From far away, I want to send greetings to the José Carreras Foundation. They do a great job! Every time I see their page on my Facebook with my Adri, he tells me: "Look, these kids are like me!" We also feel a part of this great family.